14 April 1986: In response to several acts of international terrorism sponsored by the Libyan regime of Muammar Khadafi, the United States launched Operation El Dorado Canyon. Along with A-6E Intruders, F/A-18 Hornets and A-7 Corsair IIs from the aircraft carriers USS America and USS Coral Sea, 24 General Dynamics F-111F Aardvarks of the 48th Tactical Fighter Wing from RAF Lakenheath, accompanied by EF-111 Ravens for electronic counter measures, and flew 3,500 miles to their targets. Navy aircraft attacked Benina Airfield and the Benghazi barracks, while the Air force fighter bombers, using GBU-10 Paveway II 2,000-pound laser-guided bombs, attacked the Aziziyah Barracks and the Sadi Bilal terrorist training camp at Tripoli. 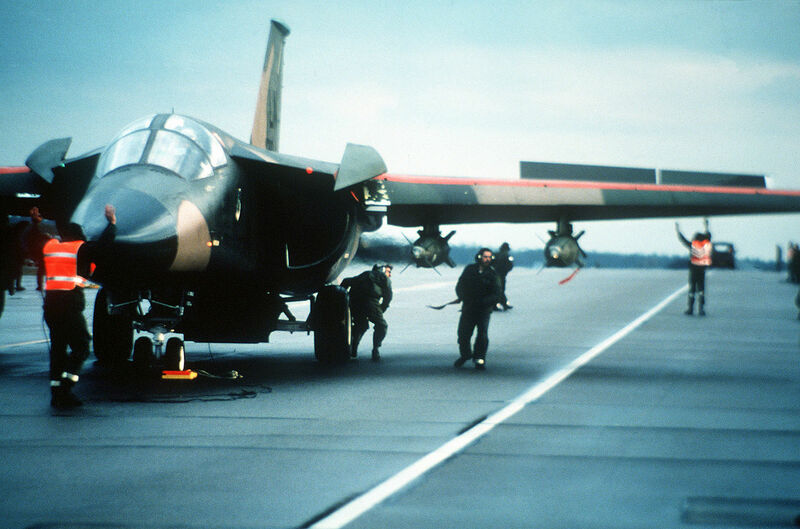 Because of the length of the flight, the F-111s had to refuel from KC-10 Extender air tankers four times in each direction. The KC-10s, in turn, refueled in flight from KC-135 Stratotankers. There were very stringent rules of engagement in place, and for that reason, the majority of the Aardvarks did not release their bombs. Libya had some of the most sophisticated air defenses in the world. Analysis indicated that only three cities in Russia were more heavily defended. 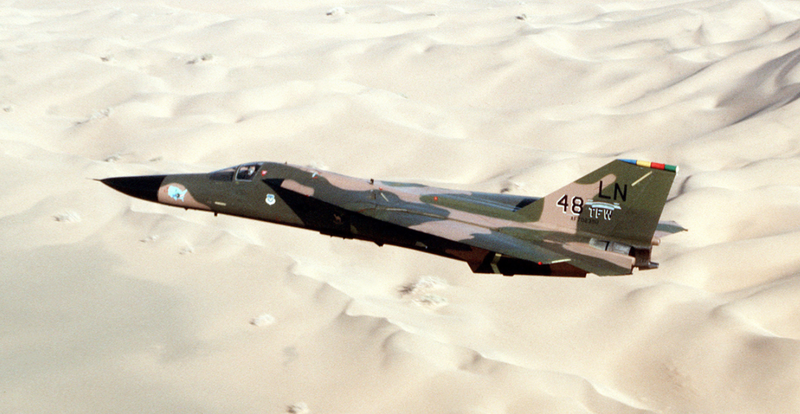 Even so, of the 55 aircraft in the two attack forces, only one F-111 was lost, probably shot down by a surface-to-air missile. Its two man crew were killed. A number of Libyan aircraft and facilities were destroyed. 37 people were killed and 93 wounded. From the standpoint of destruction caused, the results were minimal. But the effects on Colonel Khadafi were pronounced, and resulted in a significant scaling back of his regime’s terrorist activities. Viewed from that perspective, the mission was a complete success.